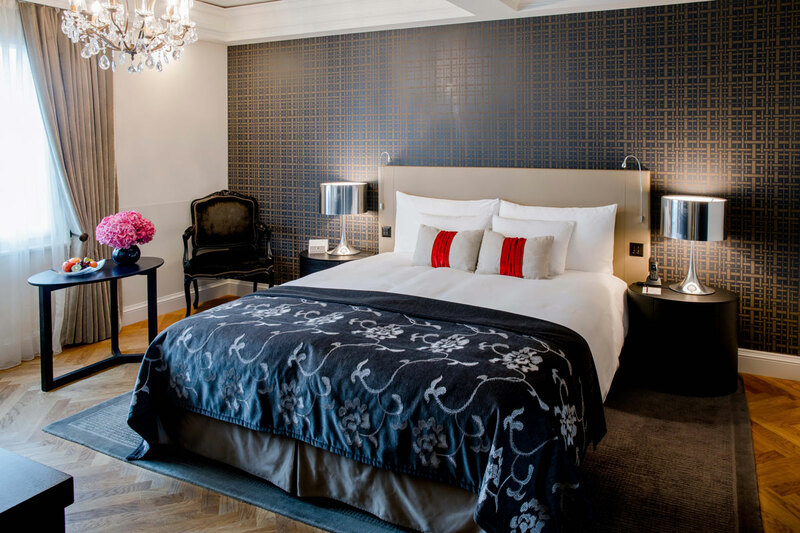 With its 160-year history, the Hotel Schweizerhof Bern & THE SPA is the most venerable hotel in Bern. After two years of extensive renovations, in 2011 the hotel reopened shining again in grand style. The five-star superior hotel blends classical grand tradition with contemporary flair, elegant design, a first-class conference centre and superb hospitality. Completely renovated. 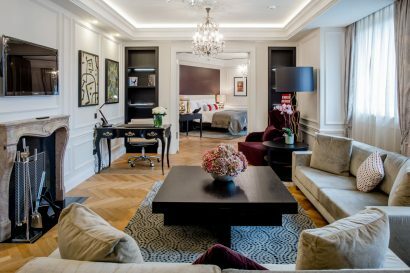 For the interior design, the well-known designer Maria Vafiadis and her London-based agency “MKV Design” were commissioned. 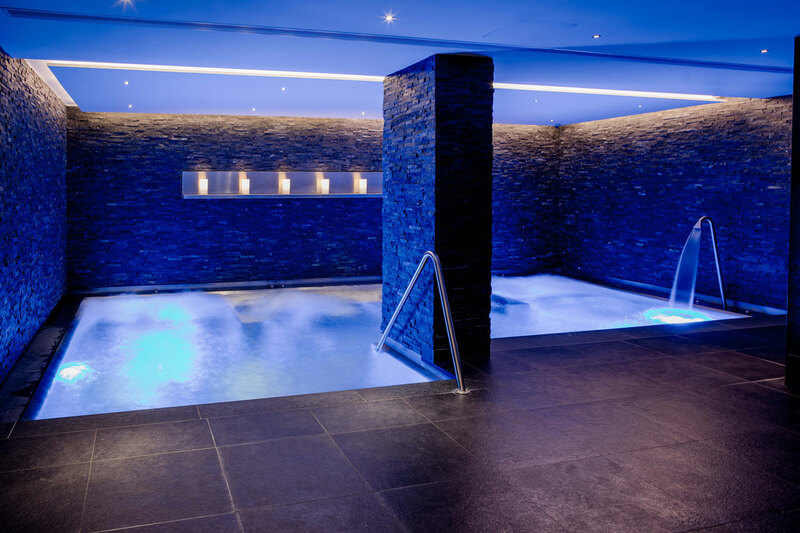 Their challenge was to create a contemporary luxury hotel worthy of its past grandeur. 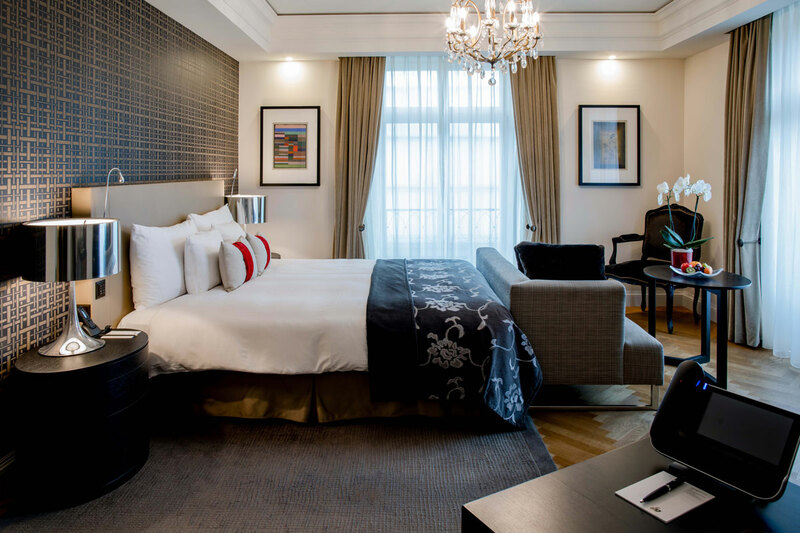 The overall ambience of the five-star superior hotel is an interplay between modern design and classical elements from the hotel’s 150-year history. 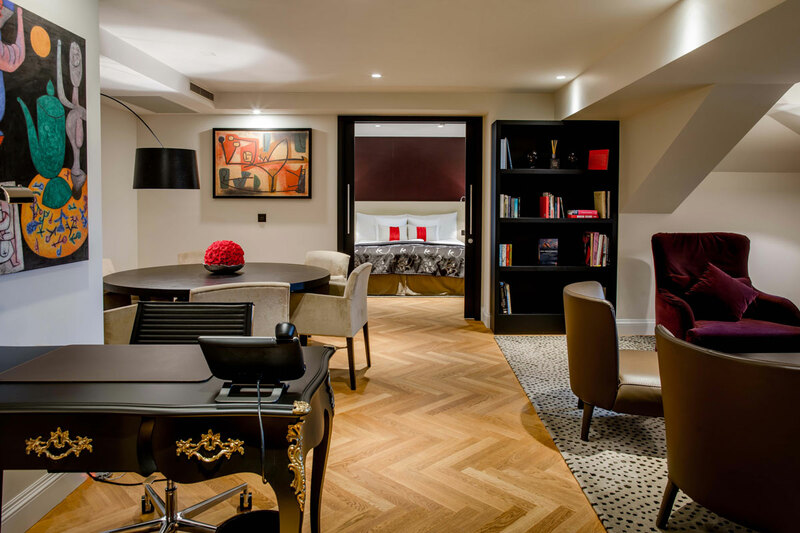 The 99 rooms and suites welcome guests with a mix of French charm and English understatement. Lighting from classic restored chandeliers imparts a harmonious atmosphere whilst the luxurious bathrooms, with their rain showers and Japanese bathtubs, are small wellness worlds in themselves. In the remaining areas of the room, the dominant taupe colour and elegant herringbone oak floors combine to create a warm and inviting ambience. The hotel is part of the global alliance of luxury hotels “The Leading Hotels of the World” as well as the “Swiss Deluxe Hotels”, the association of Switzerland’s leading five-star hotels. It is located just opposite the railway station at the edge of Bern’s charming Old Town, which has been named by UNESCO as a World Heritage Site. 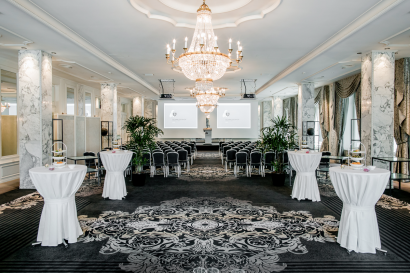 In the heart of Switzerland and Europe, Bern is an ideal location for business events, and at the same time the setting for a relaxing, culturally enriching visit, too. UNESCO World Cultural Heritage – Founded in 1191, the beautiful and well protected Old Town of Bern became a UNESCO World Cultural Heritage in 1983. Capital City – Bern is the capital city of Switzerland – the center of the Swiss democratic system. The House of Parliament is located in the heart of the city center. The doors to the Houses of Parliament are open to visitors most of the time, and if you’re lucky you might even bump into a Member of Parliament in the streets of the city. Heart of Switzerland – Bern is centrally located in Switzerland and not only the gateway to the Swiss Alps. It is as well just a short trip away from cities like Zurich, Geneva, Basel, Lucerne, and Interlaken. Exploring Switzerland is exceptionally relaxed if you can do it from your comfortable “vacation hub” Bern. Boutique Town Bern – The medieval air of this city with its many fountains, sandstone facades, narrow streets and historic towers is unique. The boutiques, bars and cabaret stages of the old town, some of which are located in vaulted cellars, and the small street cafes attract locals as well as visitors. Incomparable Shopping – Bern offers a wide range of small, unique and individual boutiques featuring high quality and often hand made goods. On the city squares colorful weekly markets are held. Whatever the weather might be, Bern is the perfect shopping location thanks to the city’s many arcades, which serve as a shelter. Arts & Culture – The Zentrum Paul Klee situated on the outskirts of the city houses the most comprehensive collection of works by the artist Paul Klee. The Albert Einstein House bears testimony to the physics genius’ stay in Bern at the beginning of the 20th century and may ideally be combined with a visit to the Einstein Museum. With the History Museum, Art Museum, Swiss Alpine Museum and Communication Museum, Bern offers a hugely varied range of exhibitions. Cheese & Chocolate County – Bern and the surrounding region is the chocolate and cheese Center of Switzerland. Both Toblerone and Lindt Chocolate, celebrated brands worldwide, have their roots in Bern. Emmental cheese – the one with the famous holes – is made in the vicinity, and it is only a short trip to Gruyères, where both a cheesemaking atelier and the Maison de Chocolat Cailler can be visited. A region steeped in tradition – The entire Bern Region is enchanting, with charms ranging from the rolling hills of the Emmental, the historic bell foundry, ancient castles, and themed markets to the unique hiking and biking scenery of the Gantrisch Nature Park. The hidden gem – Switzerland abounds with breathtaking Alpine vistas, cosmopolitan cities and cultural delights, yet Bern remains one of the country’s bestkept touristic secrets, with so much to be discovered – and everything within arm’s reach! Personal first-class service can also be found in the hotel’s gastronomic offer. 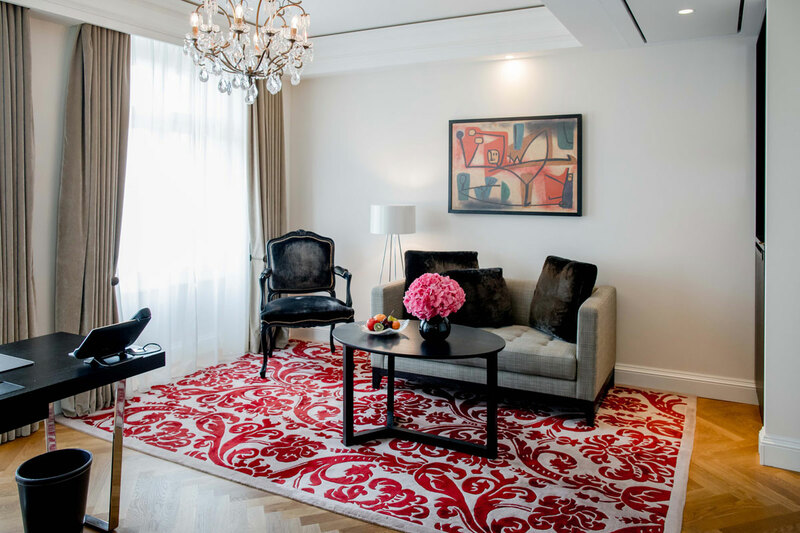 Whether classic brasserie fare, Mediterranean delicacies or Ramen noodles, the Hotel Schweizerhof Bern & THE SPA can take its guests on a culinary journey around the world. The main restaurant of the hotel is Jack’s Brasserie, which has been awarded 14 points by Gault-Millau. 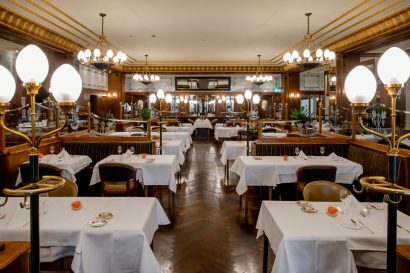 In typical fin-de-siècle atmosphere, it serves market-fresh French brasserie cuisine and the great Schweizerhof classics such as Jack’s Wienerschnitzel. Jack’s brought home in 2016 another “Best of Award of Excellence”, conferred for the fifth year in a row by the internationally known specialist magazine Wine Spectator. Gault-Millau 2015 has announced that Jack’s also deserves a laurel for its excellent wine selection, recognising it as the ”Best Swiss Wine List”. The Lobby-Lounge-Bar is the meeting place for hotel guests and visitors from outside the hotel – whether it’s for coffee, a business lunch, bowls by Schweizerhof Bern, afternoon tea (served from early October to the end of March), or after-work-cocktails. The Sky Terrace, the hotel’s roof terrace, is an especially hot tip, with its 360-degree panoramic views over the rooftops of the capital and its mountain backdrop. 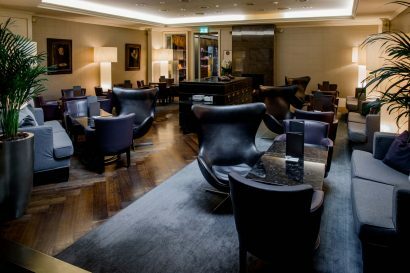 During the cooler seasons, the elegant Cigar Lounge offers a choice of drinks and food as in the adjacent Lobby-Lounge-Bar. Cigar lovers can enjoy a wide range of high quality cigars from different provenances. All four outlets are also open to the public and visitors to Bern. The harmonious ambience of THE SPA is the perfect setting for its state-of-the-art facilities, including an indulgence pool with bubble beds and massage jets, a Turkish bath, Finnish sauna, experience showers, relaxation room with water beds, and treatment and fitness rooms. 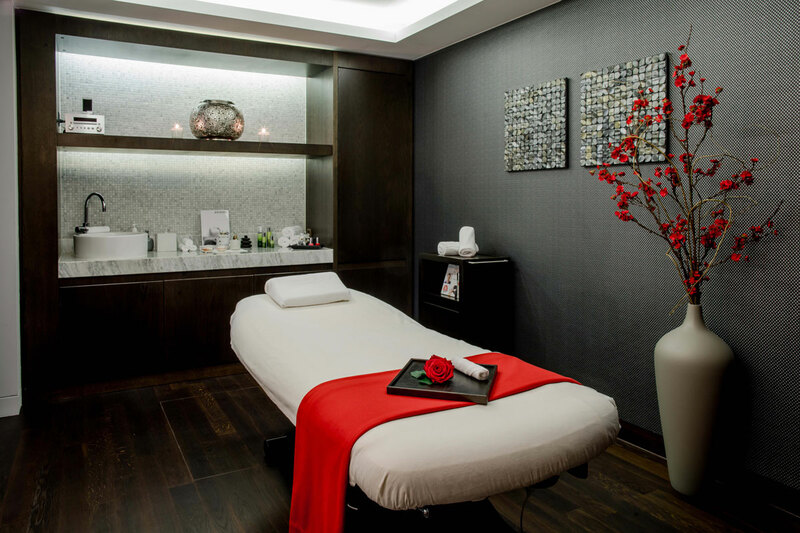 A variety of different kinds of massage and beauty treatments are on the ‘spa menu’, delivered by a trained team of in-house specialists who rely on the products and treatments of the renowned cosmetics brands “Sothys” and “Jacqueline Piotaz Switzerland”. For overnight guests of the hotel, admission to THE SPA (open 365 days) is free of charge. 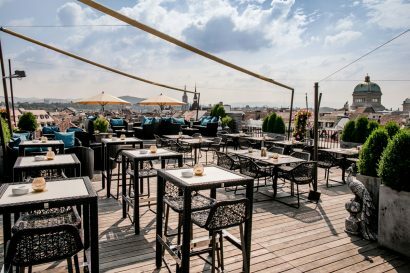 Both work and pleasure are the creative forces of the Bel Etage. 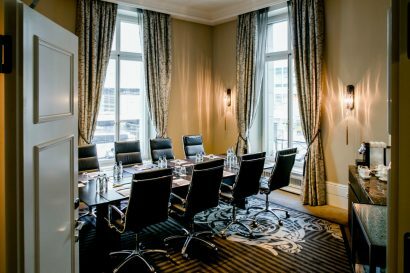 At 800m², the five-star-superior hotel in Bern’s most central location offers 11 rooms ideal for a variety of occasions – meetings, seminars or banquets. 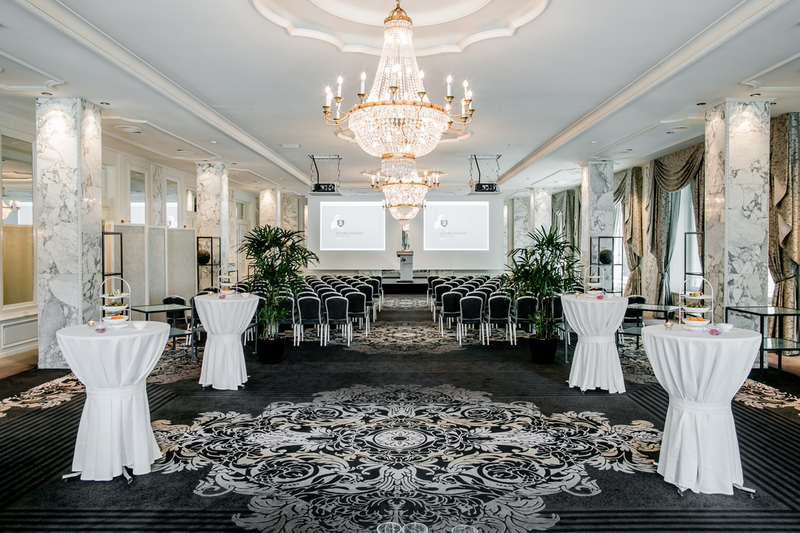 The jewel in the crown is the 350m² Salon Trianon, a heritage-listed ballroom featuring impressive stucco ceilings, imposing marble pillars, and beautiful facsimiles of the salon’s original chandeliers. Together with the three salons I to III, it lends a unique atmosphere to festivities, meetings and conferences. 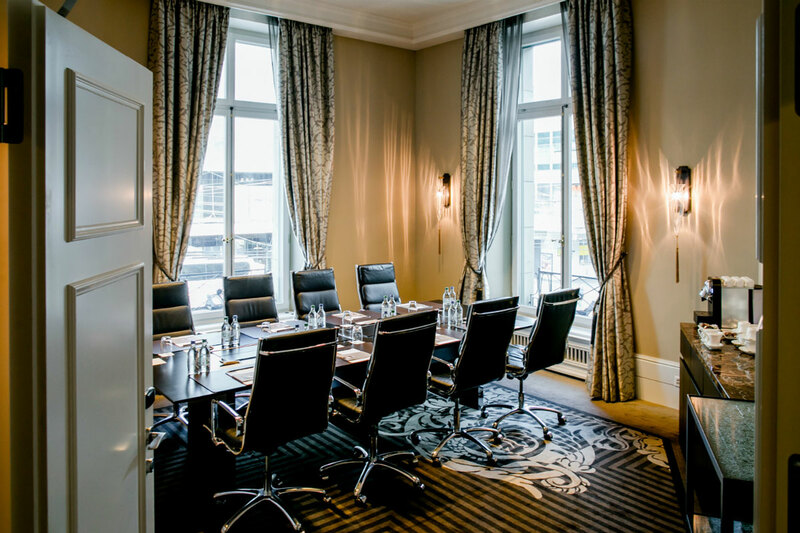 Equipped to meet the most cutting-edge requirements of a contemporary workplace, the meeting rooms and the private office provide individual, tailored solutions.